How far along? 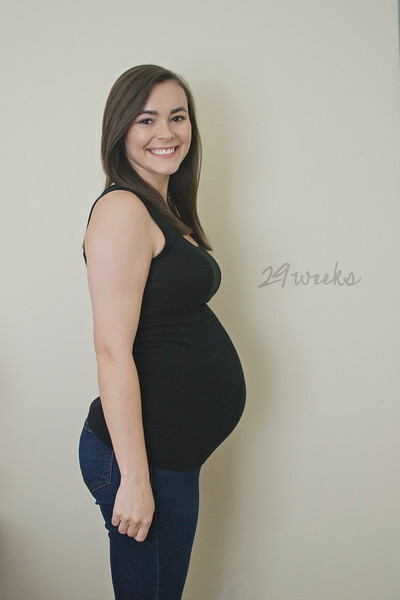 29 weeks- a week into the THIRD TRIMESTER! Stretch marks? Still no stretch marks on my belly. Fingers crossed! Sleep? I'm tossing and turning a little more than usual. Besides that I can't complain. Speaking of not feeling my best- my glucose tolerance test was before the 4D ultrasound. My appointment was luckily at 9 am, but they were running behind so (long story short) it was almost 11 before I finally got to eat. (On a side note: 'they were running behind' means the 4D ultrasound wasn't done DURING our hour wait- it was done AFTER our hour wait.) And let me tell ya- waiting an hour to have your blood sugar tested is obviously not enjoyable- especially when the ultrasound is scheduled to fill the wait time- and they've scheduled twice as many people as they should have. My empty stomach combined with the sugar I had to drink (which actually tasted delicious and not disgusting like everyone says), didn't set well. I felt SO sick. I was hot and lightheaded and slightly nauseous. Lying on my back for the ultrasound was KILLER. The technician could tell I wasn't feeling well so she had me roll onto my left side for the majority of the ultrasound. This unfortunately didn't feel much better, but I wanted to see our little girl so bad! I even tried to eat a chocolate chip granola bar (my favorite!) while we watched, but it didn't help at all. I had went entirely too long on an empty stomach. I felt awful when I had to tell Zach I couldn't lay there any longer- which ended the ultrasound. We could've watched her so much longer, but I was too miserable.The sweet technician kept saying how it was perfectly normal to feel sick at this appointment because of the glucose tolerance test, which made me feel so much better about it all. 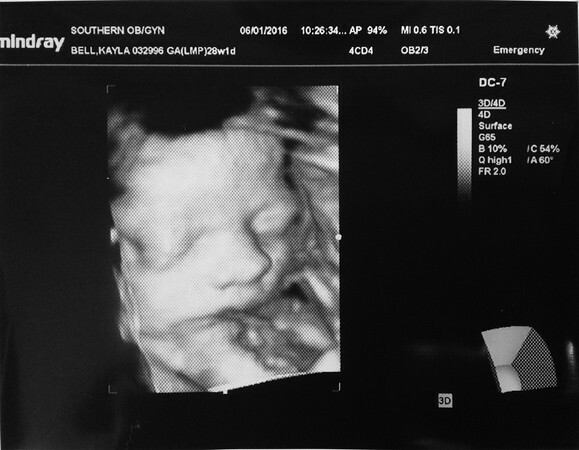 I felt like such the drama queen- I almost passed out and everything people..
UPDATE: I found out at my 30 week appointment that my sugar was 70 when they tested it after my hour wait. I bottomed out. No wonder I felt so horrible! It made me feel a lot better- I really wasn't being dramatic. Oh- and our sweet girl is already head down. The technician mentioned it during the ultrasound. I honestly hadn't thought anything about it. So far so good though! Hopefully she stays that way and we don't have to worry about a breached baby girl. We toured the Women's Pavilion on Sunday. What was I interested in the whole time? Seeing how much natural light the windows let in anddddd if the baby-bed-carts (whatever they're actually called) were cute. Good news! The windows are huge and let in a ton of natural light and the baby-bed-carts (what are these things called?!) are absolutely precious. Clearly I'm concerned about these two things for one reason only- pictures. I have a problem and I don't even care.. Too excited for all the photo opportunities! I can't wait to start documenting all of our little memories together. Miss anything? Not a single thing. I am so incredibly happy with this pregnancy and the direction everything is going. Oh- and my feet haven't grown anymore, so all my shoes still fit!! Movement? She is getting so strong! There's been a few times she's actually made me jump or almost let out a noise in shock. She's kicked my ribs a few times- not that it's necessarily painful, but it takes me by surprise the way a surprise tickle attack would. Food cravings? Healthy cravings are back! I'm OBSESSED with watermelon. I could literally eat it constantly and for every meal. Only down side to this craving- more frequent trips to the bathroom. Oops.. I have been lightheaded almost everyday these past few weeks. I experienced it some before, but only when I would be busy on the weekends and forget to drink water or snack. Lately it's been rather persistent, whether I have a full stomach or just finished a glass of water. Even at work while I'm sitting down it will happen. Luckily, my doctor doesn't see any reason to be alarmed- as long as rapid heartbeat doesn't accompany it. Apparently it's more than likely caused by a lack of blood flow to my brain, which is pretty common. What a relief! My pregnancy apps have mentioned swelling the past few weeks. Luckily I haven't had an issue with this at all! I read that the more water you drink, the less you retain. You best believe I'm drinking water by the gallon these days. Well- I always have anyway, but I'm definitely keeping track of how much I drink now. Hoping I can make it these next 10 weeks without swelling up! Happy or moody most of the time? HAPPY. I've never felt so happy. All positive vibes. Looking forward to? The homestretch of this pregnancy and finally meeting our little girl. 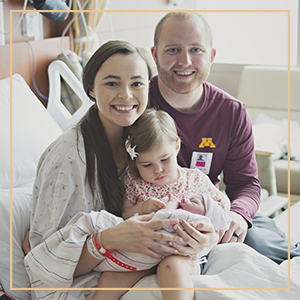 I've signed up for classes at the hospital during July and early August- I'm anxious to see if they're as awkward as they are on tv or not.... Oh- my baby showers are coming up in a few weeks as well! IT'S GETTING REAL!